When the spring or summer comes, we usually seed our lawn because it is the perfect time of the year for germinating seeds. However, it does not mean that we could not seed lawn in others seasons, especially winte﻿﻿r. 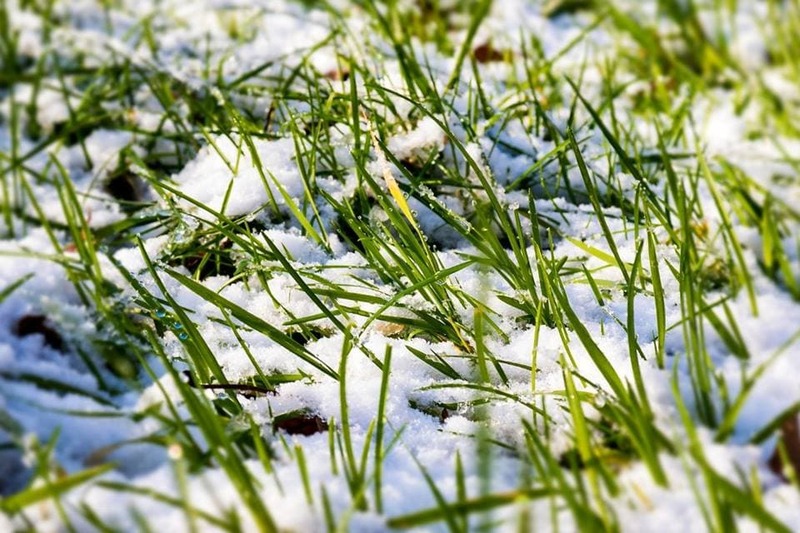 Though the temperature goes down, snow may occur, and we usually worry about how to help grass survive through the hard winter. Actually, we still can seed a dormant lawn in this period. In fact, it is even better to seed your lawn in this season than in spring. It sounds interesting, right? Let’s find out together! Can we actually seed in winter? Yes, you absolutely can seed in the wintertime. You may have read about seeding lawns before, and most of those articles do not recommend about seeding in winter. Normally in the winter, lawns will be in the dormant status, and the germination rate is very low, maybe 0 percent. Therefore, seeding dormant lawns will not help any grass grow in the wintertime. However, it’s a surprise that winter is the second season that you should seed (the first one is summer). Even though during this period, grass seeds are not active, and it will remain in the soil and germinate quickly the next spring. Seeding in spring can make the seed germination delay if the weather becomes too humid. When seeding in the fall, new seeds will have to deal with weed invasion because this is a great time for weed to develop. If seeding in the summer, new seeds will have to face high temperature and low humidity precipitation. Therefore, when seeding in the summer, you will have to do a lot of tasks to ensure the high germination rate. Meanwhile, dormant lawn seeding in the winter will save your efforts. 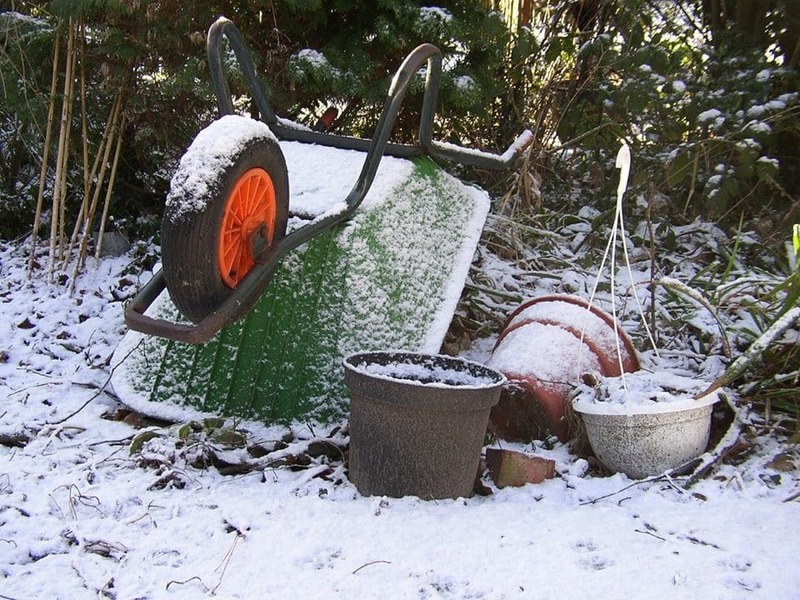 When you sow the seeds to bare or patchy areas between snowfall, they will get deeper in the soil and germinate in the spring. On the other hand, the soil will have enough humidity because of the snowfall. In addition, when the spring comes, soil will be dried just enough for successful seeding. 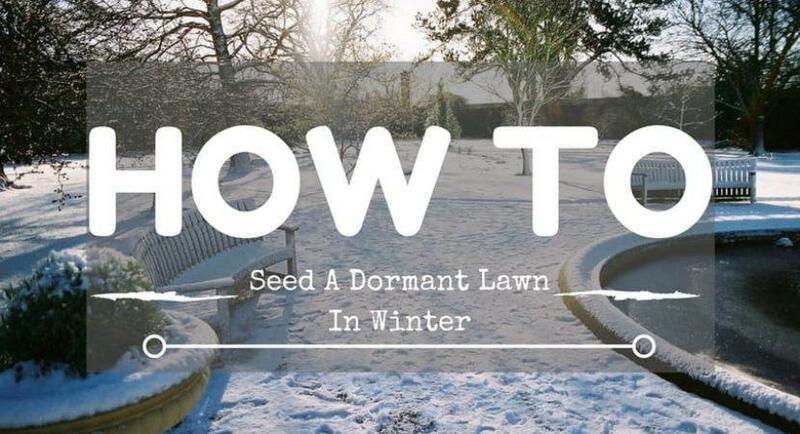 Now, you may see that seeding a dormant lawn in the winter is not only possible, but it is also a great time to over seed or reseed your lawn! How can we perform dormant lawn seeding? Normally, winter takes place from November to February, and the most appropriate time for dormant seeding is February. In February, the weather is not as cold as in December or January, but it is not too hot either for dormant seeding. Moreover, recent studies show that the germination rate can reach 75% if we perform dormant seeding in this month compared with 50% when seeding in December or January. First, choose the type of grass that is appropriate with your regional weather. This is very important because it could directly affect the germination rate when the spring comes. Sometimes, you need to do a soil test to ensure that your soil quality is good for dormant lawn seeding. Then, when the ground is frozen, you can proceed with seeding. Before seeding, make sure that you have already scalped and raked your lawn. These practices will help to loosen your soil and remove any debris or weeds that occur under the soil. After that, seeding your lawn with a recommended amount, according to the instruction on the package, in the morning, when the frost melts due to the sun is important. That “natural water” will slowly absorb into the soil and help seeds contact directly with the bare soil. Finally, rake the surface again lightly so that the seeds are well covered. After all, the last thing you should do is stay off your lawn and let the weather do the rest. When the spring comes, you will see a surprising result of dormant seeding. There are a few things that we should remember when performing dormant lawn seeding. First, you should not apply any herbicide to the lawn when seeding. Chemicals can remain in the soil for the whole season and directly affect the germination rate. Besides that, even grass will not germinate until spring, but watering is still recommended. If you find your lawn is too dry, just water it in order to keep 1 inch of top soil moisture. It is like spraying a little water over the lawn once or twice a week, but be careful about watering your lawn too much. When the temperature gets higher or the spring comes, you can adjust the current watering schedule to become suitable with the new condition. Seeding in wintertime is possible. 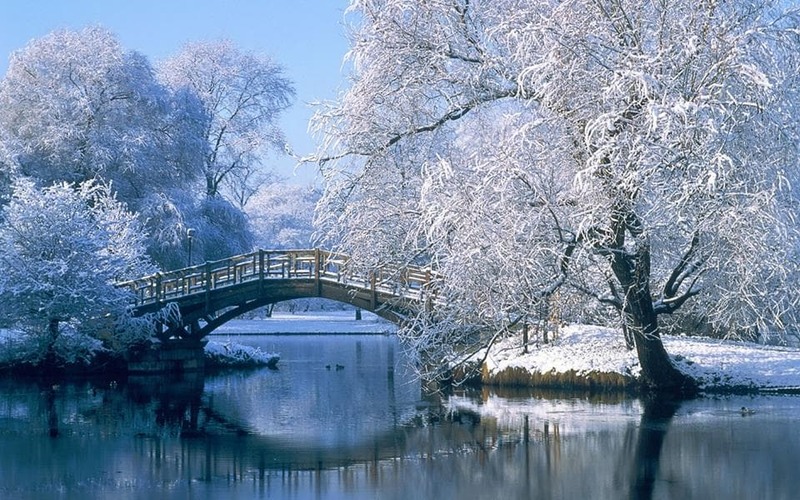 It can even resolve the problems that usually take place in other seasons. Besides that, dormant lawn seeding also helps you save more time and effort. The keys of success lawn seeding in winter is timing and the right method. That’s all. It’s very simple, right? Just apply a few simple steps in winter, and you will have a beautiful green lawn when spring arrives.